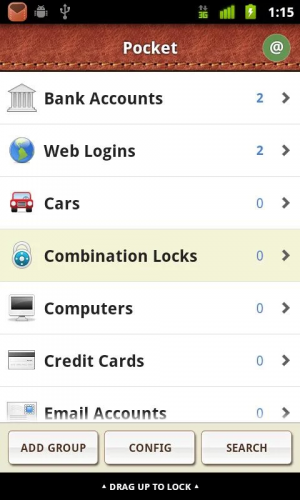 For as long as I had an Android phone, I've always used Pocket as my password manager. It's been pretty reliable, easy enough to use, and just leverages my Dropbox account for database backup. It protects my passwords with a master password. The only problem I had with it is it being only Android supported. The last update it had was back from May 2013. That's almost four years ago. It still works pretty well but I am at the point that I need to pull up passwords on the Mac or Windows and I don't and/or can't grab my phone so I needed cross platform support. Back in 2015, I did a quick two hour scrum workshop for the graduating Computer Science students of the University of the Philippines in Cebu. It was fun passing the information along. Just wanted to share the slides I made below. Check out how Spotify uses Agile in their teams. Finally got around to working on the crazy video clips we collected over the weekend last year. Premiere Pro is so fun to use, seriously. There are more parties this 2016! So many choices, so little time. Where are you gonna be this weekend? Find us on the streets! It's time for Red Bull Supreme all day, everyday because it's Sinulog Month! Read more about Downboy Bubblegum Sinulog 2015 Weekend! Update: as of Friday January 15 3PM, 22 listed parties total! Woah! Check out the spreadsheet here. It's Sinulog Festival month in Cebu City and there are parties everywhere this weekend! To make it easy for you, I've made a nice compilation linking to all the parties for the computer nerd party animal in me. 7 parties on Friday. 11 parties on Saturday. 4 massive events on Sunday. 17 listed parties this weekend. Damn, son. Get your Red Bull on, yo. Did I miss anything or something's outdated in the data? Put a comment down below!